How can I customize the rest of the booth? In addition to being able to customize layouts, on all the HALO tiers (aside from the Special Event plan) you’re able to upload graphics to other parts of the booth. Make the booth yours by adding custom designs to your attract (start) screen, edit screen, Gallery, and Live Feed ads. Using a custom start screen or adding your logos to your Gallery page allow you to get the most out of our platform. What kinds of customizations are available on each HALO tier? HALO Lite: Upload a custom start screen and edit screen. HALO Standard: Upload a custom start screen, edit screen, Gallery logos, and up to one Live Feed ad. HALO Premium: Upload a custom start screen, edit screen, Gallery logos, and up to six Live Feed ads. Upload your graphic or video to the start screen section. 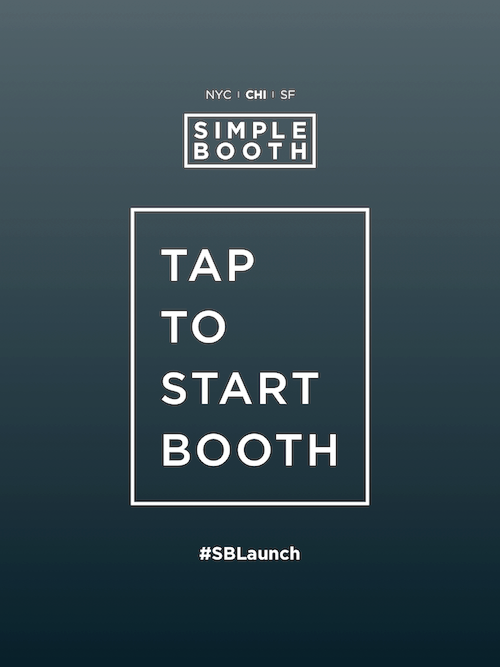 When you use a custom design for your attract screen, the “Tap To Start Booth” text will be disabled so be sure to add something like that in! Customize the edit screen background to match your booth’s theme. Since most of this will be covered up by your guests’ photos this one can typically be pretty simple. Add a custom logo to the top and bottom of your Gallery. Typically we suggest adding your client’s logo to the top (if applicable) and your logo to the bottom. Both of these logos can be linked to a website. Try not to use the same logo that you’re using on your layout to avoid too much repetition! Upload one or more ads to your Live Feed. You can select how frequently your ads play and how long they’ll appear on the screen for. How do I know what size to make my graphics? The design guide includes sizing specifications for these customizations.